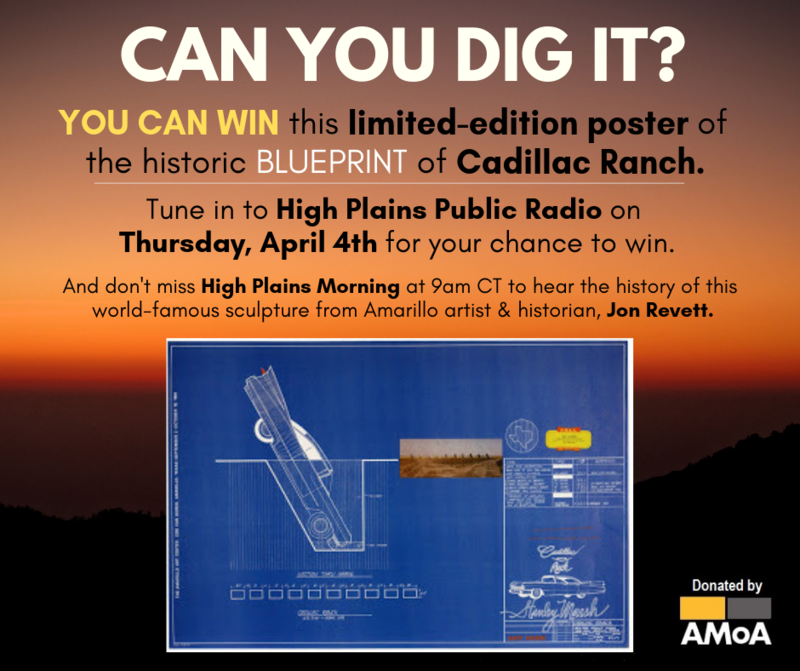 Cadillac Ranch Blueprint Poster: PLEDGE TODAY & WIN! If you LOVE Cadillac Ranch, tune in to HPPR's Spring Membership Campaign TODAY for your chance to win this POSTER! (We'll draw just before 7pm). Click here to pledge online, or call us at 1.800.678.7444! It's all about "Landscapes," so tell us about yours.